Tactical Handgun 101 curriculum in a 5-day, 40 hour course which has been approved by the Peace Officers Standards and Training Commission. The course addresses special considerations applicable to police officers. Examinations in the form of written tests and range 'qualifications' are included. 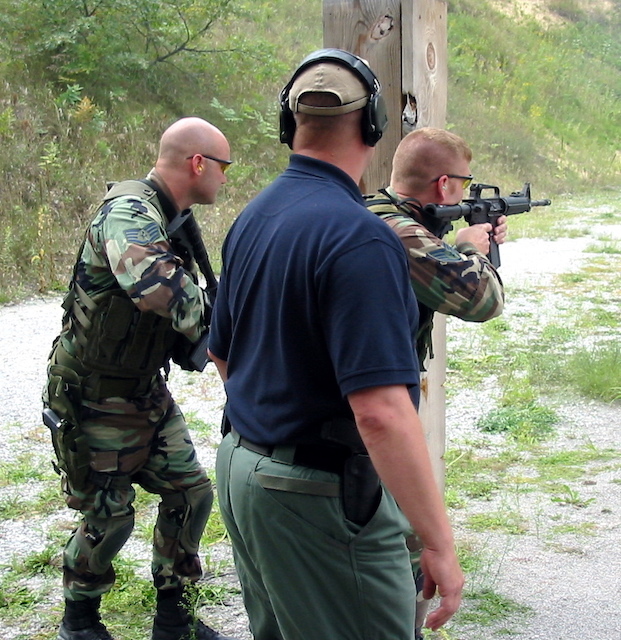 Classroom instruction is incorporated into the curriculum in order to provide the officers with a deeper understanding of the concepts and doctrine associated with the applied technique. The course includes an extensive night-shoot session and allows opportunities for indoor and outdoor live-fire tactical simulators. Our most frequently requested POST approved course for police in-service training. 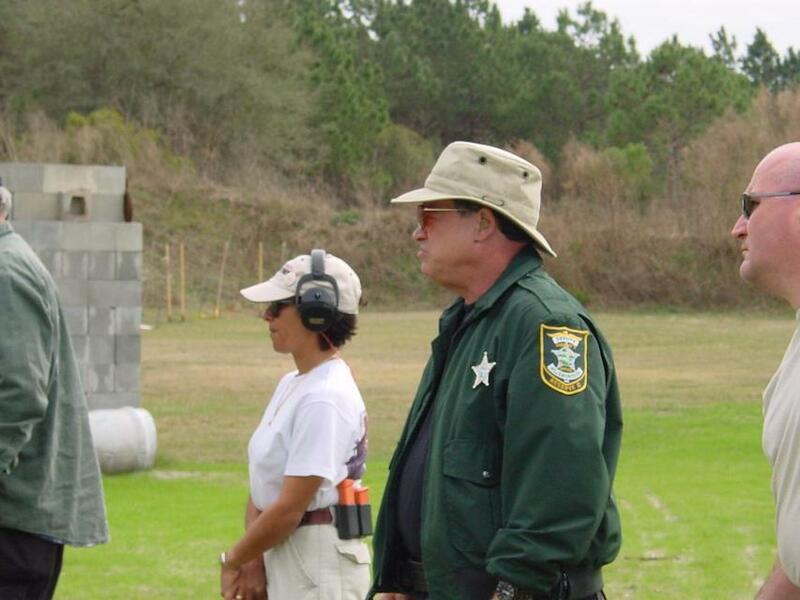 Generally consisting of 3 days of handgun and 2 days of carbine or shotgun training, the curriculum may be tailored to the specific needs of individual departments. 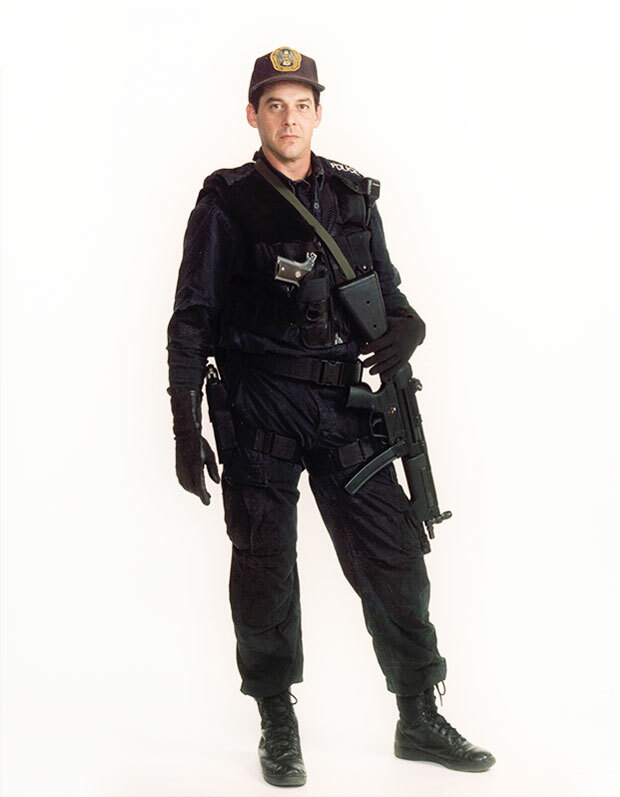 Classroom lectures, a low-light session with each weapon, and tactical simulators are structured to the benefit of the officers. We offer an alternative in-service training program which will be both educational and enjoyable. Consistent feedback indicates that this course is much preferred by the officers over other alternatives as a means of satisfying POST requirements! Focus is on management of the weapon in the full-auto mode with heavy emphasis on team tactics. The course can be structured to the needs of individual departments. Available to members of state and local law enforcement agencies and legally registered owners of NFA weapons only. Copyright protects all content contained on this site. You may not modify, publish, transmit, participate in the transfer or sale of, reproduce, create derivative works from, distribute, or in any way exploit any of the content, in whole or in part, in any form or medium, without the express written consent of Cumberland Tactics, Inc.